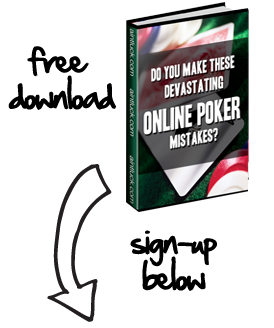 Multi table poker tournaments are extremely popular in online poker, and it is worth knowing how to play them well before you enter one. There are many differences a player needs to make when sitting down at a multi table tournament table, and here are some MTT tips to remember. Many players forget to change the way they play upon entering a multi-table tournament, and find themselves playing a very similar style to what they would be using at the cash tables. This is not the right idea. A poker tournament’s structure requires making some changes. Remember, once all of your chips are gone, your day is done, and you must work hard to defend them, as well as build on your stack. You will see players trying to bully you, even early in multi table tournaments. Let other players make the mistake of being involved in big pots early, do not fall in to the trap of calling an all in with a less than top 5 hand. Put your money in, and you will come out ahead in the long run. You will notice people making crazy calls, only to show down a terrible hand, and get eliminated. Let the donkey’s knock each other around, and pick your spots. How many times have you seen this one? It’s early on in a tournament and the blinds are only at $10-$20 or something quite low. Then, all of a sudden a player sensing weakness opens the betting with a $200-$400 bet. Why? Is the $30 in the pot that important? Unless you have a premium hand, anyone who calls you in this spot probably has you beat. You watch this player pushing and pushing and before you know it, they’ve busted out before the first break. How dumb does this sound when you read about it? Well, its happened to everyone at some point or another. Now that you see how frivolous this is, don’t do it again. Offsuited connecting cards, one gappers, small pocket pairs, Ace little suited… These cards may be playable from late position but in early position, these are easy folds. Think of it this way, if you are holding cards that can’t stand the heat of a raise, fold them. In tournaments, you are only given a set number of chips. If you needlessly spew them by calling early and then folding, you are wasting your precious commodities. Then when you do pick up good cards, you can’t make as much money in your double up opportunities and you can’t pay for your stronger draws. Getting yourself into the deep stages of a tournament, and setting yourself up for victory is a tough thing to do. One way to do this is to always be looking for situations to build your stack. The middle stages of a tournament are where all the play really takes place, and you need to be prepared for that. Mix up your play, and take advantage of situations where you can steal the blinds, or exploit a weaker opponent at your table. You really want to be able to hit the late stages of a tournament with a stack that you can play with, not just be forced to push all in or fold. Pay close attention in every situation as you may be able to pick up useful information that you can use later on. How basic does this sound? Many multi-table tournaments can take several hours to complete. If you have dinner plans or don’t think you can stick around to make it through the final table, save your buy-in money. You need to have the mindset that you’re in it to win it, not just to pass the time. How effective can you be if you have one eye on the clock the entire time? Always be aware of who has how many chips at your table. If you see someone with an enormous stack, they to avoid that confrontation until you have something really, really strong. Conversely, avoid trying to attempt bluffs on smaller stacks that are likely to call you or have committed too many chips to fold. If you have a strong hand, bet it heavy against similar or lesser stacks as these are the people that will be hesitant to tangle with you. This is more true as it gets later in a tournament and the Blinds and Antes become increasingly significant. I think whenever you see an opening and you are in late position, you should go ahead and take a stab at the Blinds. If you are successful, you add to your stack and have put yourself in a better position to win the whole tournament. But when is enough, enough? I’ve seen many players, , make an attempt to steal the blinds and then take it too far when they are being played back at. If you raise from late position in a steal attempt, by all means, make a reasonable post flop stab. But don’t put so many of your chips at risk if a call will pot commit you if you are trapped by a big hand. If you raise preflop, you should come out betting but if this attempt after the flop fails, sometimes it is prudent to proceed with caution. Being able to cut your losses could prevent you from a premature exit from the tournament. So you’ve been rolling and you have a larger chip stack than anyone at your table. You are in the Big Blind with A-10 offsuit and a middle position player goes all in. What do you do? To me, unless the player has a microscopic stack, this is an easy fold. Just because you are outchipping the field, that doesn’t mean it is your responsibility to maintain table law and order and knock everyone out. I would say that unless you have AQ or better or a pocket pair higher than 7, just get out of the way and let this player stick around. Wait until you have a monster and then take them out. Don’t waste chips being the hall monitor. Other players want you to make that call so your chips become more vulnerable. Don’t play into that trap. Being the short stack is quite an unenviable position at the table. You need to double up if you are going to survive, much less win the tournament. That doesn’t’ mean however that you should play desperately. As long as you can survive a couple rounds of blinds, you can afford to be somewhat selective. I’ve seen smallish stacks go all in with poor hands like A-5 offsuit only to be busted out by an unimproved AQ by the caller. You want to wait until you have a semi-strong ace or a pair. Once you pick one of these up, its off to the races. At this time that you actually have a hand, push your chips in and see what happens. Think back to this past World Series of Poker final table. The eventual winner, Joseph Hachem was the short stack almost throughout the entire final table. He made laydown after laydown when most players would have pushed their chips in. Ultimately, we waited out his competitors and picked his spots with the utmost precision. Now, he is a multi-millionaire. You have a reasonable stack and the next 5 players busted will finish out of the money. How do you play? Do you get tight and tentative or do you attack? You should absolutely not being playing scared hoping to cash, you should be more aggressive than usual. Think about it. When you entered the tournament, did you do so hoping to finish in the money only? No, you were trying to win the whole thing. To do so, you must take advantage of the fact that everyone has tightened up and try to steal pots whenever possible. Why? To give yourself a better chance to win outright of course. Timid players may get into the money, but the winners attack. Never forget that. You’re approaching the final table. You have a respectable stack and you may even be the chip leader. So you begin to check the tournament scoreboard to see how much money you stand to win. Guess what? Don’t do this. By counting your chickens before they’ve hatched you’ve lost part of your edge, part of the hunger that’s gotten you to this position. You need to focus on your table, focus on your cards and your opponents and continue to grind away. Only by doing this and concentrating can you be crowned the champ. Once you are in the money, you should be in a groove, and playing your best poker. Here you really want to have the ability to take risks and make strong bets. Do not raise without purpose, but be aggressive. There are going to be a lot of people hanging on for dear life, just trying not to get knocked out. Anything worth playing is worth playing to win, so you better go for it. Poker tournaments and multi-table tournaments are not a sprint, but more of a marathon. Keep yourself moving along at a good pace, and don’t get too wrapped up in results. Poker, while it does take a lot of skill, does involve some luck in the short term. Some days you can play perfect and still get busted before the money, so just work to play your best poker.